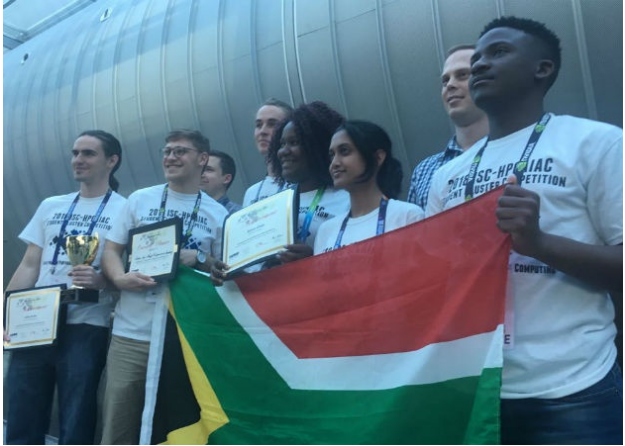 South African Computer Boffins Becomes 2nd Runner Ups At An International High-Performance Computer Competition In Germany. Team manager David Macleod was very proud of his team as they took the third position in an international high-performance computer competition in Germany. 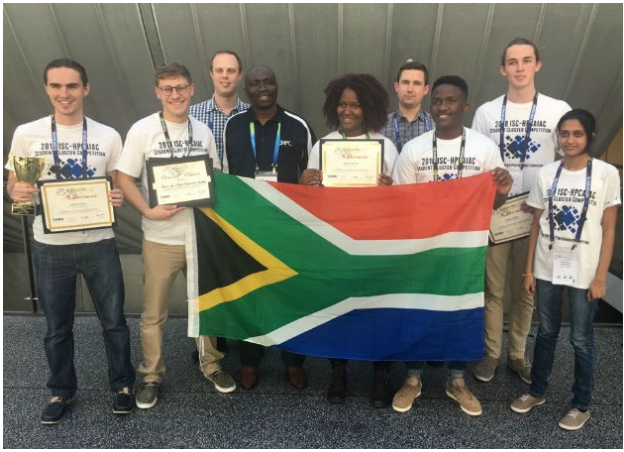 The team, made up of Meir Rosendorff, Joshua Bruton, Kimessha Paupamah, Katleho Mokoena, Nathan Michlo and Njabulo Sithole, from Wits and the University of Limpopo, competed in the Student Cluster Competition. South Africa won the Student Cluster Competition in their first appearance in 2013 and again in 2014 and 2016. The Tsinghua University team from China had two consecutive wins in 2017/18 whereas the South African team, being the only African team came in third place against high-quality opposition from Europe and Asia this year. Dr. Happy Sithole, director of the South African Centre for High Performance Computing (CHPC), which supported the team, was very happy with the group's placement and stated that this is a significant achievement from South Africa, as we bring a new team every year, while other teams repeat the students and even use postgraduates. One of the teammates of the South African team, Rosendorff expressed the team’s concentration on working in the Linux environment and thought the teams challenge was the creation of a new team every year by their school (Wits and the University of Limpopo) whereas the other teams they contended with have the same teams they do this with consistently. Two of the teammates Meir and Bruton stated that, upon successful completion of their studies, they will probably set up a small cluster since they have developed new skills participating in the competition and much of the world's computer systems were based on Linux which and the competition put them on that platform to operate in that environment. Dr. Sithole explained the selection process and its importance to the students. He stated that the significance was to ensure growing numbers among students hence they being trained, something they have doing for the past six years and have had 36 students who performed well at the world stage. The students go through a rigorous selection process just to qualify for the international competition at the CHPC build clusters on Linux systems and teams which are required of them to build a prototype cluster in the cloud at the CHPC's Winter School. The team largely made up of computer science and engineering students were sent to the Texas Advanced Computing Centre in Austin, US, for extensive training and support and the CHPC is a Department of Science and Technology initiative, carried out through the Council for Scientific and Industrial Research (CSIR).